1. 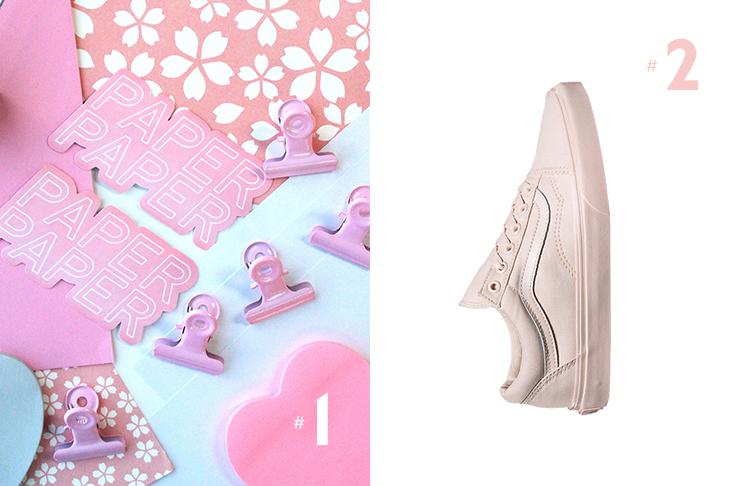 Pretty much everything from Paper Paper is on our wish list. Designed to elevate creativity and self-expression, their range of stationery and office knick-nacks are sure to up your productivity in style. 2. Not a millennial? Take a walk in their shoes. Reworking their all-praised Sk8 Hi and Sk8 Low silhouettes, Van's classic sneaker has been pinked-out to some of the hottest sneakers of the year. And yes lads, they’re unisex. 4. Is there anything Kmart can't-do? 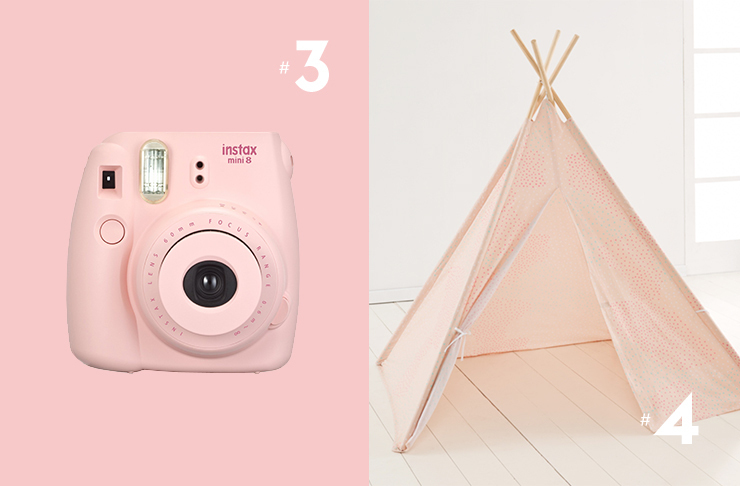 Where better to hide away from the responsibilities of tomorrow than your very own millennial pink teepee tent! Okay, so technically this one is for kids… but nobody really needs to know that. 5. In a world of Instagrams, you can’t afford to the let down the aesthetic for a hot second. Lucky for us, Le Creuset has added ‘sugar pink matte’ to their colourful cookware collections. With a whopping 23 items in the range, you’ll be one step closer to your childhood dream house. 6. You’ve heard of think pink, well get ready to see pink. 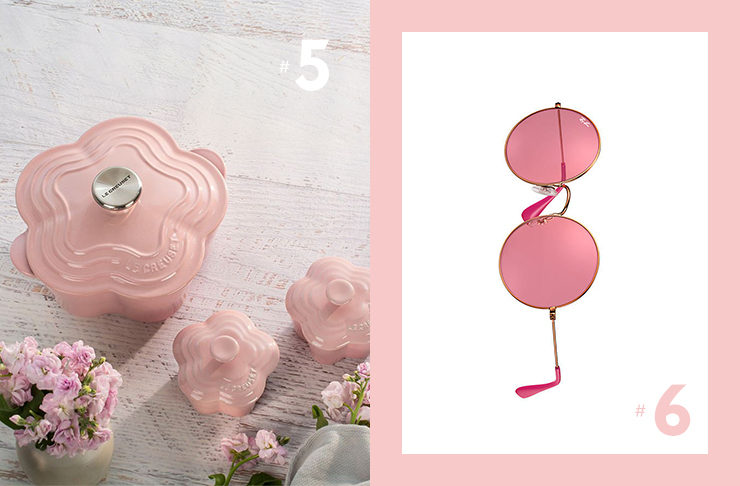 Ray Bans’s Ja-Jo model features pink lenses, giving you rosé tinted vision all year round. 7. Like millennials, Jean Paul Gaultier never shied away from a little bit of controversy. Come October 22nd, you’ll be able to get your hands on “Scandal” the latest scent soon to have the whole town talking. With a seductive dash of honey, gardenia, blood orange, and patchouli it sends an irresistible mixed message this gem will take you from day to night—oo la la! 8. Us millennials cop a lot of crap for being ‘lazy’, so we may as well kick back in style right? 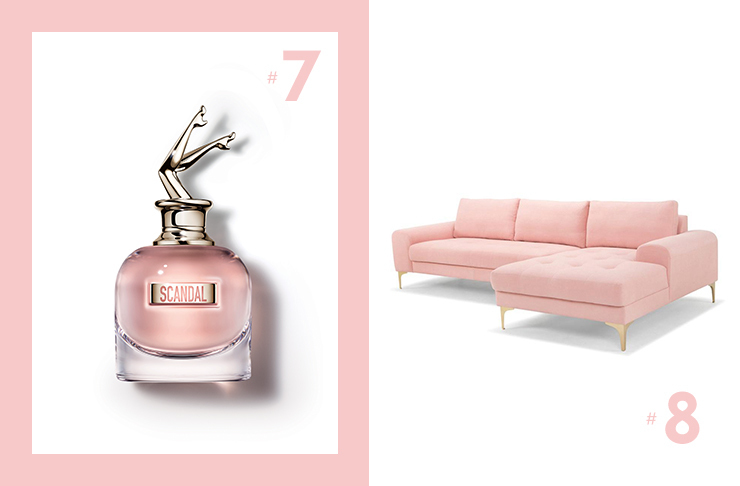 Junk & Disorderly get it and have come out with a fabulous pink couch worth re-arranging the lounge for. Another addition to the Barbie dream house.